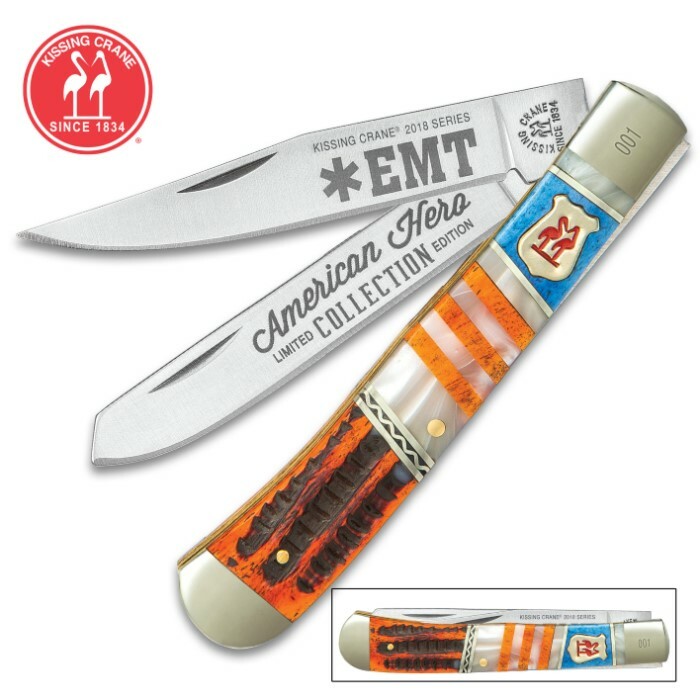 New to our American Hero Collection, presented by Kissing Crane, is the EMT American Hero Trapper Pocket Knife. Etched on the 440 razor sharp blades are the signature American Hero Collection logo and EMT themed artwork. 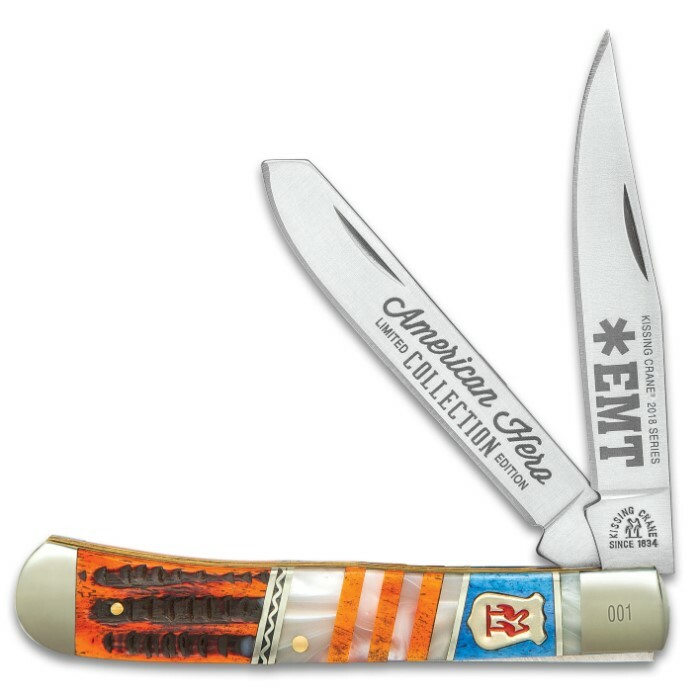 The EMT theme is carried out on the genuine bone and pearl handle, which is done in blue, orange and pearl white with orange accents. 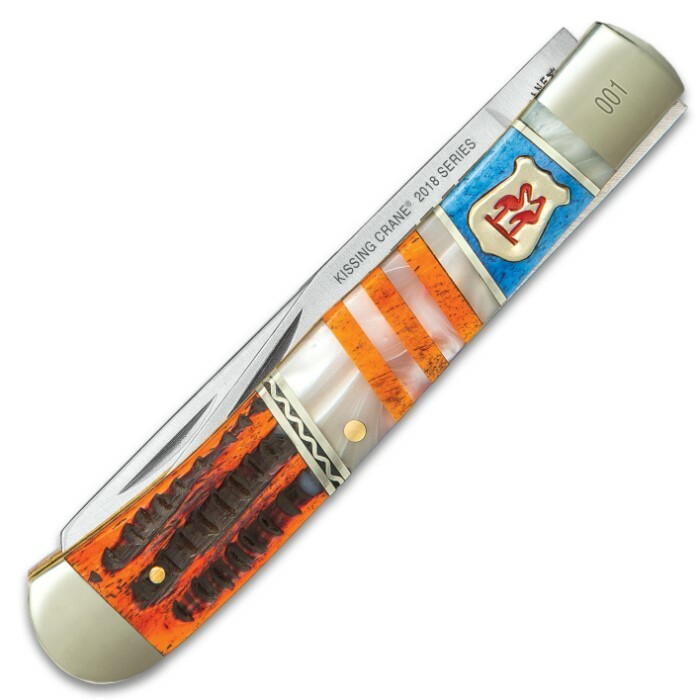 The attractive tribute knife also features nickel silver bolsters and brass liner and pins. Add this new trapper pocket knife to your Kissing Crane collection today or give one to your American Hero.